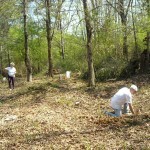 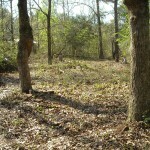 Photo taken 3/20/2009 after clearing. 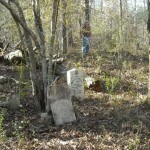 I’m not sure whose grave is this. 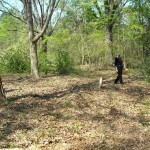 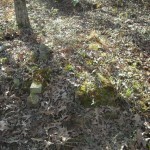 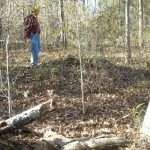 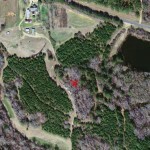 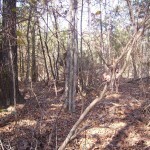 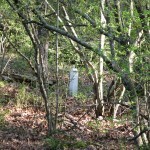 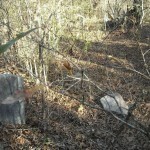 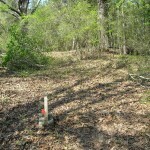 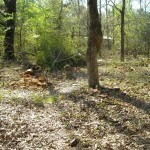 photo taken 3/19/2009 before brush was cleared. 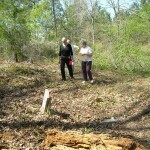 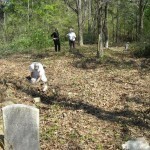 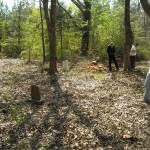 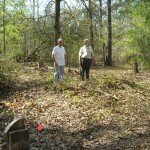 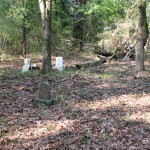 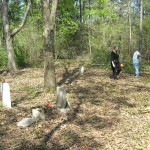 Bill and family identifying various tombstones and bases found in the cemetery. 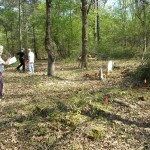 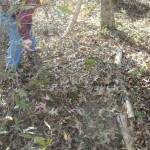 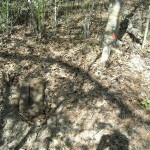 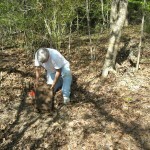 Bill is marking the site as new items are uncovered and discovered. 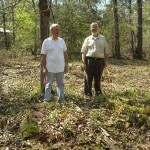 Tommy and Pam and Wixon came out to help Bill clear the area.